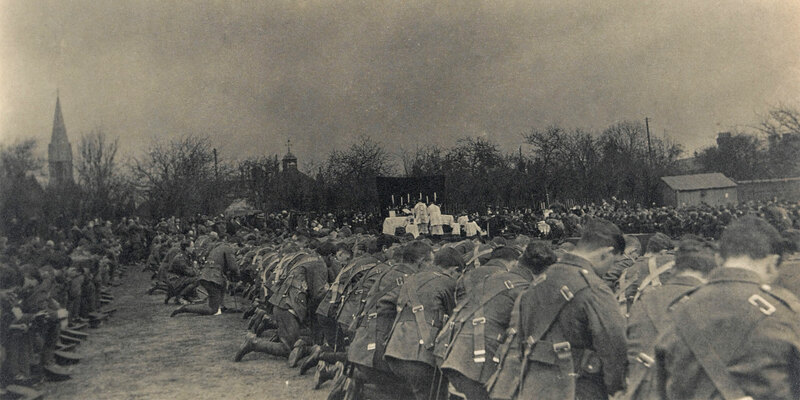 Professor Thomas O'Loughlin and Dr Stuart Bell outline the theology of Reverend Geoffrey Studdert Kennedy and discuss how religion was transformed by the First World War. The Reverend Geoffrey Studdert Kennedy is famous as 'Woodbine Willie', an Army chaplain who handed out cigarettes to soldiers while also dispensing pastoral care. A much loved and respected preacher until his early death in 1929, he had a great influence on those who met him during the war as well as those who heard him speak afterwards. Although now probably better known in Germany (through the work of Jurgen Moltmannn) than in Britain, Studdert Kennedy's ongoing fame and influence stems from a new theology he forged in and around Messines Ridge in June 1917, which anticipated many developments in the later 20th century. Exactly 100 years after its first publication, when it was greeted with anger and derision, his poem 'The Suffering God' reveals that religion was yet another aspect of British culture to be transformed by the war. This lecture will address a little-known aspect of the war's impact on society, and allow us to re-evaluate 'Woodbine Willie' not only as a much-loved padre, but as a respected thinker about war and religion. There will be a book sale and signing after the talk.